SUMMER 2013 IS APPROACHING FAST! 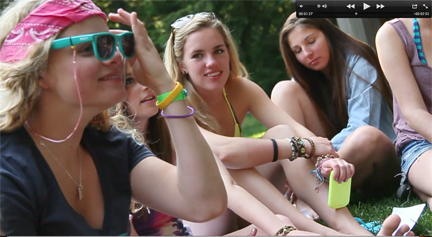 CAMP UPDATE: SUMMER 2013 IS APPROACHING FAST! We hope you have had an amazing season – winter has flown by and it’s been inspiring to watch the continued success of so many Momentum Campers and Coaches at events around the world! All of our current star line up of coaches will be back, along with some new talent! Summer sessions are filling up FAST with bookings now 30% ahead of last year. Sessions will sell out earlier now so be sure to register before it’s too late. Spirit Of Sarah Scholarship: Extended Deadline! We will never forget and will always honour our much loved camper and long time coach Sarah Burke by continuing to award a FREE Full Package Summer camp to the female skier who best embodies her very special strengths and characteristics. This year thanks to our partnership with the ‘Sarah Burke Foundation’ we are also adding a $500 travel budget for your flight out! If you are a girl and a skier and want to come out this summer then be sure to apply now. The deadline for applications has been extended to April 30th! So much more new cool product! We are extra stoked to bring in 4 new industry leaders as camp sponsors: Dakine, Quicksilver, Roxy and the North Face. They will be joining our already stellar line up of Camp Sponsors . Tom and Gus tell it like it is. Last year’s park set-up was epic and our plans are to make it even better this year! 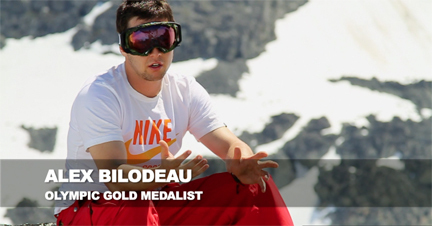 The Canadian Halfpipe Team should know a good pipe. Note that the halfpipe will only be maintained in top condition during sessions 1-3. Alex speaks of coaching and being a former camper. 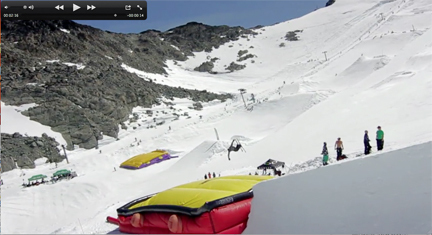 Moguls is where this camp started and we have helped produce multiple World Cup and Olympic medallists. 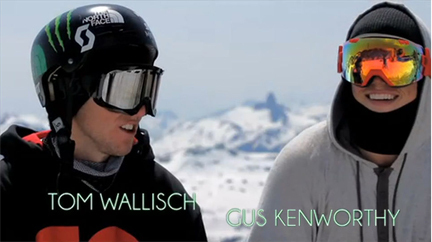 World Cup and World Champion Mik Kingsbury will be coaching Session 2 along with team mate Phil Marquis. Exposure Film + Photo camp is booking up fast after a very successful inaugural year in 2012. This will be a limited capacity camp so sign up soon! 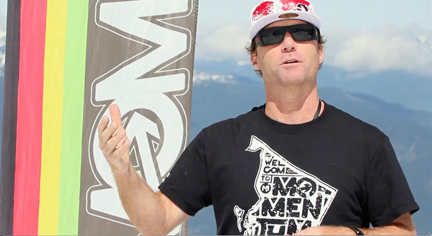 Award-winning ski filmmaker, Mike Douglas will be joining our acclaimed coaching crew of Blake Jorgenson, Darren Rayner and Jonny DeCesare for a week of creativity, action shoots and inspirational workshops. Sherpas Cinema may also be making an appearance this summer! TBC Soon. Big kids can come to camp too! 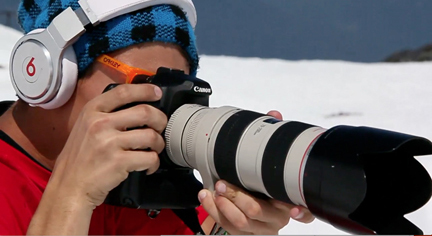 If you are over 19 and a passionate skier, join our Adult-only session and learn from the best! This action packed week of ski and sports activities, along with a great apres scene will reinvigorate your skiing and inspire you to get out of your comfort zone – which is where the magic happens! Adult Only week is Session 5, July 21 – 29. We also have a mixed adult and youth week during session 1, June 21 – 28th. Our Park gets better from year to year, check out the recently added videos (x13) showcasing all the park features from 2012. Be patient if it takes a little longer to load – it’s worth it! Looking for a great place to train with your team this summer? 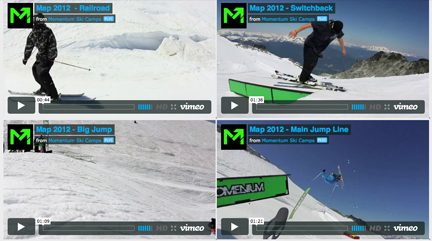 Momentum offers special Team Deals and options to either take part in the full camp or train with your own coach.